Red and yellow leaf hunting is a favorite autumn pastime. The drive is scenic, the walk is crisp, and it may end in the perfect Instagram photo. We entered the visual social media world to inspire your next adventure for fall foliage. So grab a warm drink and head out to Vancouver USA’s most colorful spots. Vancouver Lake Park: There is 234 acres of natural landscape to search at Vancouver Lake Park. From the shores of the lake to wooded trails off the beaten path, you’re bound to find autumn hues. Officers Row: Somehow the golden shades and crisp air seem to add to the historical significance of Officers Row. Stroll past 22 preserved Victorian homes before stopping at the Eatery at the Grant House for a cocktail. Waterfront Renaissance Trail: The five-mile path along the Columbia River is lined with leafy beauties. Starting at the Interstate Bridge, walk, run, bike, or skate your way to the other end where you’ll find McMenamins and Beaches Restaurant. Ridgefield Wildlife Refuge: Approximately 5,300 acres of lush wetlands, grasslands, and forests, you’ll want to be on the hunt for red foxes in addition to red leaves at the Ridgefield Wildlife Refuge. Your scenic views will be surrounded by the peaceful sounds of migratory birds and slow-moving river offshoots. Salmon Creek Greenway Trail: Located in north Vancouver, this 3.1-mile trail winds along the banks of Salmon Creek with 850 acres of forest, meadows, and ponds. Look up to find colorful reminders of the fall season overhead. 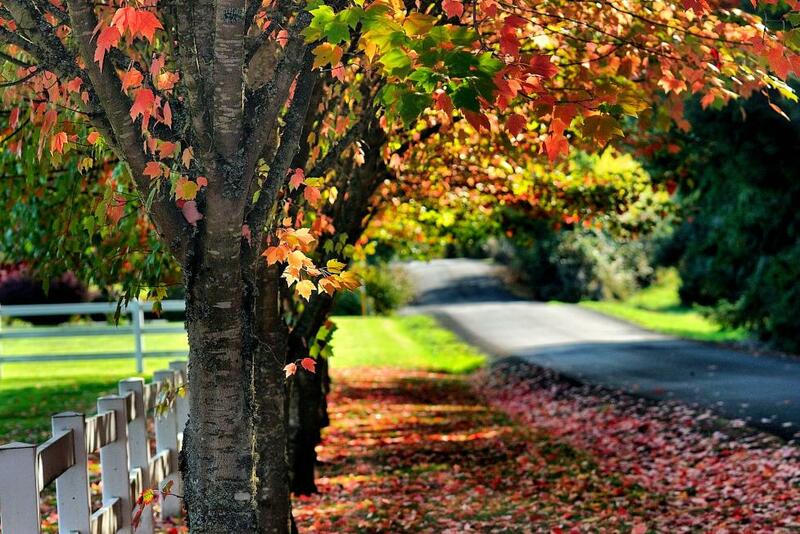 Tag your Vancouver USA fall foliage photos with #DiscoverVanUSA.